Stylish self catering accommodation in Brewer Street in the heart of Soho, London. 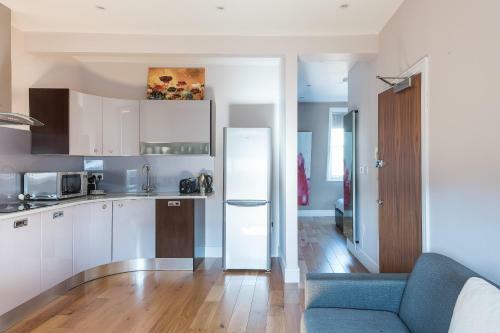 Located in a traditional London property, the apartments are decorated to a very good standard and have comfy double bed, a sofa bed in the attractive lounge, kitchen facilities and private bathroom. Soho Stables provides a quirky, highly rated place to stay in the heart of Soho, just off Brewer Street and around the corner from Golden Square.